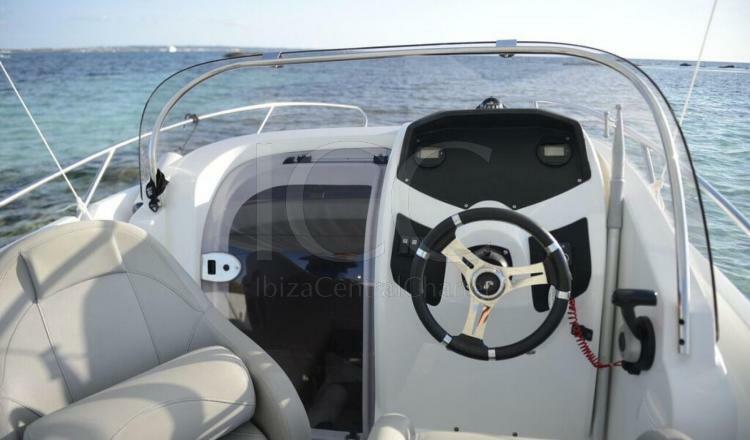 Imagine a new boat day on which style and recharge focus. 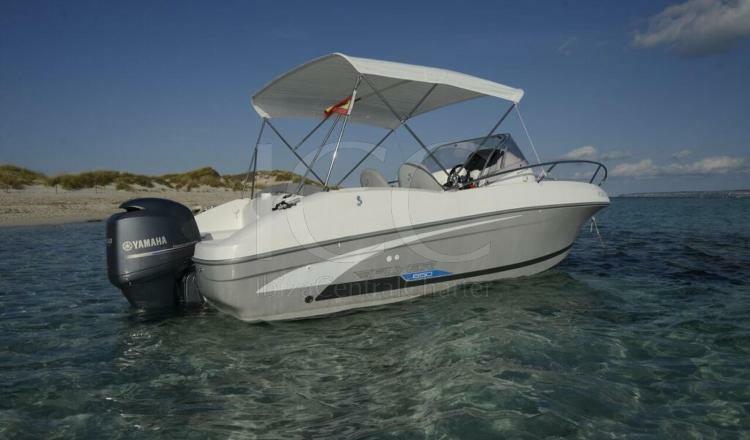 The image that appears in your mind is the Beneteau Flyer 6.5 motorboat, careful every detail, every accessory and every finish, so that you enjoy a unique day sailing in the Pitiusas Islands. 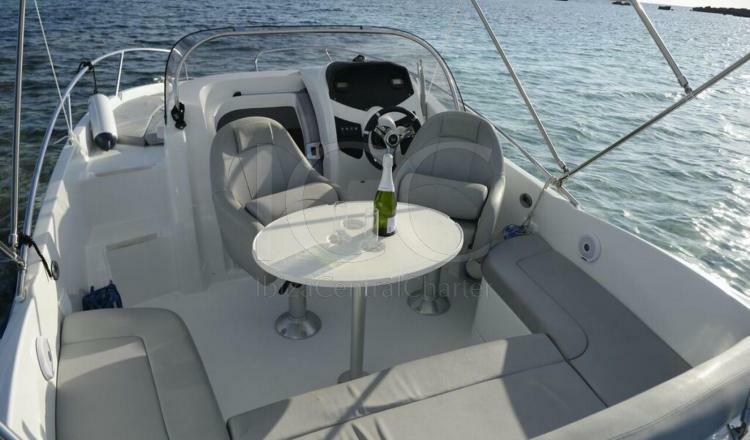 The Beneteau Flyer 6.5 with 6.5 meters in length is the ideal boat to enjoy a day of charter with your friends or family. 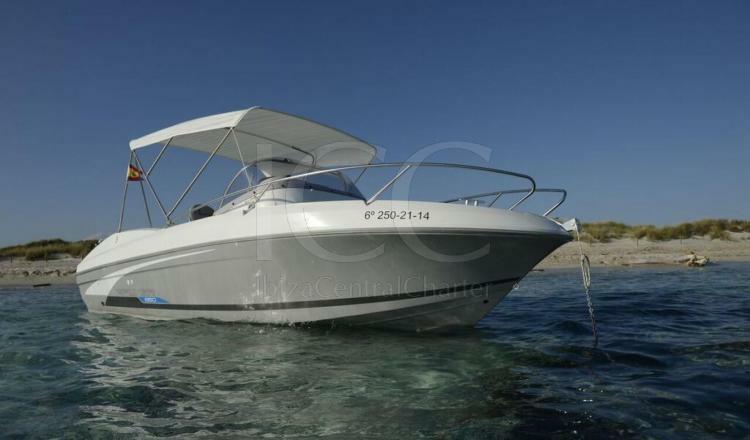 It is equipped with all the main needs to make you enjoy an unforgettable vacation. 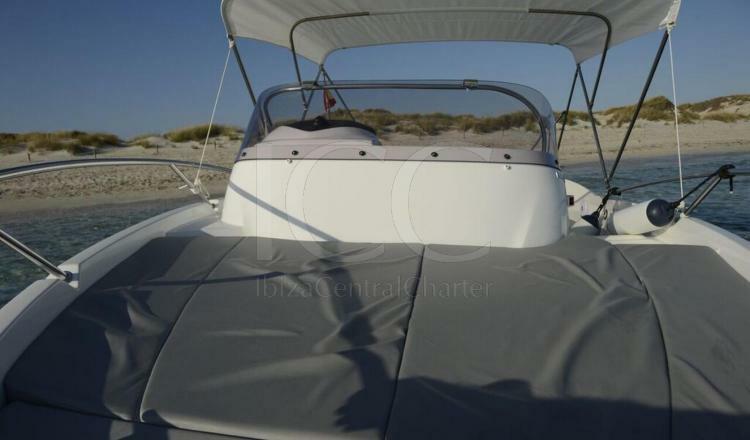 Despite its small size, offers a large mat in the bow area to relax and sunbathe overlooking the different coves of Ibiza and Formentera. In the bathtub, there is space for two people in the government seat with seats that can be turned to the comfortable dinette with seats for the rest of the passengers. This area becomes the ideal place to enjoy a meal or a snack in the best company. And if at any time you need a break from the sun you can have it thanks to your bimini awning, or if you prefer, you can take a dip as your swim ladder will facilitate access to the water and the boat. Extras: Skis, wakeboard, neumatica 1'80, donut, 30€/day. Deposit (without skipper):of 1000€ in cash or credit card. Without skipper: Minimum titulation PNB.